Currently 12.6% of youth around the world are unemployed. At the rampant rate that unemployment is growing, 600 million jobs need to be created over the next 10 years to support the number of youth who are entering the workforce daily. Youth unemployment is not only detrimental to the national economy but to the youth themselves by affecting their sense of dignity and self-confidence by limiting their contribution to and full participation in their community. The microfinance industry is responding to this urgent crisis by developing innovative ways to extend integrated microfinance services (savings, loans and cash transfers) and non-financial services (financial literacy, health education, business training) to the youth in an attractive and cost-effective manner. Microfinance providers are hoping to directly address the crisis of youth unemployment through the youth themselves - by boosting youth-led business creation and enabling self-employment. Institutions such as Uganda Finance Trust and the Bank of Katmandu, part of the YouthStart and YouthSave Consortium respectively, along with Banco Adopen in the Domincan Republic and Fonkoze in Haiti, have each introduced youth savings products that have enjoyed encouraging results and provided evidence on the elusive business case for youth financial services. The recent Microcredit Summit was held in Mexico on September 3-5 and was attended by individuals and institutions eager to share how they were expanding the reach of appropriate and affordable financial services to millions of households living in poverty. Microfinance has taken various forms throughout the world and remains an important tool for economic development and community well-being - providing the financial means to stimulate the enterprise growth that brings much needed income and employment for individuals from all regions and backgrounds. The Microcredit Summit Campaign (MCS) (@MicroCredSummit) has set the ambitious goal of reaching 100 million poor households with microcredit services by the end of the 2015. Recently they have made a joint commitment with Child and Youth Finance International (CYFI) to ensure that 10 million children and youth are reached by appropriate financial services by the end of 2015. MCS and CYFI’s joint commitment takes advantage of the combined momentum of the 2 international campaigns to maximize outreach to young clients through the microfinance industry. For the full outcomes of the 17th Microcredit Summit, and to see how they relate to youth financial services visit MCS’s blog 100 Million Ideas. Innovations in youth microfinance were in the spotlight this week during the Youth Economic Opportunities Conference (#YouthEO) in Washington DC. CYFI engaged with other practitioners during an action packed agenda with sessions on scaling up youth savings products, how microfinance can break down barriers for youth entrepreneurs and how microfinance providers can best utilize new technologies to reach a wider range of youth clients. The European Microfinance Platform (@e_MFP) has invited CYFI to play a leading role in their Youth Action Group for Financial Inclusion. This Action Group has recently released a call for case studies on how microfinance institutions have been able to achieve scale and sustainability through integrated financial and non-financial services for youth. These cases will form the basis of a new publication that will build on the lessons learned from the Action Group’s 2012 Publication and will provide the microfinance industry with a valuable resource for youth product development and stakeholder engagement. CYFI is pleased to stand along with its many partners and stakeholders, such as MCS, Making Cents International and the eMFP, who are working hard to advance best practices in microfinance for youth clients. We strongly believe that microfinance institutions have a key role to play in allowing the Child and Youth Finance Movement to achieve its ambitious goals for youth financial inclusion and we fully stand behind our commitments to this important industry. Child & Youth Finance International’s 3rd Annual Regional Meeting for Europe and Central Asia (ECA) will bring together policy-makers and financial service providers to discuss innovative ways to increase children and youth’s financial capability. Amsterdam, the Netherlands– Child and Youth Finance International’s (CYFI) 3rd Annual Regional Meeting for Europe and Central Asia (ECA) will be hosted by the National Bank of the Republic of Macedonia in Skopje, Macedonia from October 2-3, 2014. Regional leading policy-makers, financial institutions, experts, practitioners and innovators who are engaged in the issues of children and youth’s financial access, financial inclusion and financial education, employability and entrepreneurship opportunities will attend to share success stories and challenges. The objective of the meeting is to strengthen and align financial inclusion, Economic Citizenship Education and entrepreneurship initiatives for youth in the region. Senior representatives from Ministries of Education, Ministries of Finance, Central Banks, children's rights organizations, multi-lateral agencies, and educational and financial institutions are confirmed to attend. MasterCard and CYFI share the belief that enabling financial inclusion and economic citizenship education for children and youth is critical for a more inclusive economy. Without this access, young people can’t save or invest in their future. “In January this year, MasterCard formed a strategic partnership with CYFI with the goal to advance financial capabilities of children and youth. We are honored to bring our expertise and experience to this partnership. At the same time, MasterCard and CYFI acknowledge the key role that public-private-partnerships can play in furthering this goal, and we are committed to working together with businesses, governments and NGOs. MasterCard’s participation in this year’s CYFI regional meeting in Skopje is aimed at demonstrating that financial institutions have the opportunity to make a difference for youth, and that considering youth as stakeholders in financial education and product development is paramount to shaping the future of a cashless generation,” explains Artur Turemka, General Manager, Balkans, MasterCard, who will present on the best practices and policy recommendations for increasing financial capability for children and youth. In this session, he will be joined by high-level representatives from UNICEF, the G20-GPFI Turkish presidency, and central banks from the region. Banking a New Generation: Developing Responsible Retail Banking Products for Children and Youth is a guide co-published by MasterCard and Child and Youth Finance International (CYFI). Created to help financial institutions, NGOs and governments co-create appropriate and innovative banking and payment products for children and youth, the guide will be distributed to multi-sectoral participants attending the Regional Meeting. MasterCard’s Ms. Louise Entwistle, Government and Public Sector Market Development Europe; Ms. Ana-Maria Pochi, Account Manager Romania; and Mr. Rohnny Swennen, Business Leader, Global Youth Product Development; along with CYFI’s Innovation Manager Ron van den Akker, will lead a session on innovative solutions for increasing financial inclusion and financial education of children and young people through low cost, secure and scalable quality banking products. MasterCard (NYSE: MA), www.mastercard.com, is a technology company in the global payments industry. We operate the world’s fastest payments processing network, connecting consumers, financial institutions, merchants, governments and businesses in more than 210 countries and territories. MasterCard’s products and solutions make everyday commerce activities – such as shopping, traveling, running a business and managing finances – easier, more secure and more efficient for everyone. Follow us on Twitter @MasterCardNews, join the discussion on the Cashless Pioneers Blog and subscribe for the latest news on the Engagement Bureau. Child and Youth Finance International’s 3rd Annual Regional Meeting for Europe and Central Asia (ECA) will bring together policy makers, financial service providers and children and youth from the region to discuss innovative ways to responsibly and sustainably include the young generation in their national economies. Amsterdam, the Netherlands – Child and Youth Finance International's (CYFI) 3rd Annual Regional Meeting for Europe and Central Asia (ECA) will be hosted by the National Bank of the Republic of Macedonia in Skopje, Macedonia from October 2-3, 2014. Regional leading policy-makers, financial institutions, experts, practitioners and innovators who are engaged in the issues of children and youth’s financial inclusion, financial education, employability and entrepreneurship opportunities will attend to share success stories and challenges. The objective of the meeting is to strengthen and align financial inclusion, economic citizenship education and entrepreneurship initiatives for youth in the region. Senior representatives from Ministries of Education, Ministries of Finance, Central Banks, children's rights organizations, multilateral agencies, and educational and financial institutions are confirmed to attend. 65 children and youth from across Europe and Central Asia will present to the policy-makers their action points for creating appropriate and sustainable youth economic opportunities. By ensuring youth are included as active participants in the decision-making process we believe that the policies shaped will be more youth-focused and inclusive, and the youth themselves will be more inclined to agree with the policies as they helped create them. The National Bank of the Republic of Macedonia is a central bank and only bank of issue in the Republic of Macedonia. Its primary objective is to maintain price stability. In 2012 the National Bank of the Republic of Macedonia launched a project titled "Financial Education" to inform the citizens of the Republic of Macedonia about the finances and the economy. Brochures, manuals, cartoons and other educational materials are developed, printed and distributed to the public. The project is contributing to the general wellbeing of Macedonia’s citizens and economy. CYFI’s 3rd Annual Latin America and Caribbean (LAC) Regional Meeting 2014 brought together policy makers and financial service providers to discuss innovative ways to responsibly and sustainably include children and youth in the economy. Amsterdam, the Netherlands – This year Guatemala hosted the Third CYFI Regional meeting for the Americas and the Caribbean. Framed by the IX Regional Congress on Remittances, Microfinance and Financial Inclusion, this event took financial education and financial inclusion to the top of the regional agenda. “We are very pleased to welcome you all to this space for exchange and learning.” Dr. Roberto Ortega Herrera, President of the Guatemalan Banking Association. The Central American sub-region had an unprecedented participation in this event in which financial intuitions, Ministries of Finance and Education, NGO’s, foundations and leading researchers gathered to network, collaborated and shared innovations and ideas on the topics of financial inclusion, financial education as well as employability and entrepreneurship. Undoubtedly, this event contributed to Child and Youth Finance International’s goal to develop a generation that will be able to prevent future financial crises by increasing the financial education, financial access, employability, and entrepreneurship skills of children and youth. During the event a great focus was put on financial inclusion as a tool to diminish social exclusion and facilitate growth in the region. Speakers recognized that there a variety of ways to increase financial inclusion and the proof of the opportunities which financial inclusion generates is too abundant to be ignored. Emphasis was given to the family structure and the need for specific policies to improve social conditions, especially for youth. Panelists highlighted one of the problems which the sub-region is facing: often financial inclusion is increasing as an unintended consequence of rapid growth in the financial market. They highlighted the importance of encouraging structured growth that is accompanied by youth and family specific policies. “Innovations have changed the way we think about finances, now they have to change the way we do finances” Lic. Gabriela Zapata, Consultant, MetLife Foundation. Financial institutions and government institutions were the sectors primarily represented in this event. Participants were pleased to hear from both sides a pledge for greater contribution and coordination amongst all sectors involved in increasing Economic Citizenship Education. Panelist emphasized the importance of using innovative channels to increase financial inclusion while providing financial education to the young population. Participants acknowledged that the road to providing financial services and products to children and youth is still long and bumpy, even with the increase in technology. However, they enthusiastically welcomed the idea of SchoolBank, and there was great interest shown in the development of pilot projects in the region. Participants highlighted the importance of tailoring SchoolBank projects to specific national and community contexts. SchoolBank focuses on the creation of low cost, secure and scalable banking products for children and young people between 6 and 25 years of age. The project seeks to combine the use of state-of-the-art banking technologies and innovative distribution channels beyond the conventional distribution networks of financial products and services. “Global Money Week is a great opportunity to show the world what is being done in Guatemala for the financial education of children and youth, and also to learn how we can do better.” Lic. Antonieta Gutierrez, Executive Director, Central Bank of Guatemala. The event served as a platform to launch Global Money Week 2015 in the Americas and the Caribbean. Participants were excited to hear from different institutions about their participation in past editions of this initiative. The Central Bank of Guatemala and the Superintendence of Banks of Guatemala invited all present institutions to join their efforts in 2015 and to reflect deeply on the theme of GMW 2015: Save today. Safe tomorrow. and the importance of savings for ensuring Guatemala’s sustainable growth. Prior to the Regional Meeting for the Americas and the Caribbean the Central Bank of Guatemala highlighted their commitment to the CYFI Movement, while hosting a National Stakeholder’s Meeting to discuss the development of financial education and financial inclusion programs in the country. The Ministry of Education, the Superintendence for Tributary Administration and the Superintendence of Banks, joined the Central Bank of Guatemala and CYFI in this event which served as a space to exchange information about the programs that these institutions are implementing as well their outreach to children and youth. Agreements included the utilization of CYFI’s National Mapping Tools to identify gaps in their financial regulation, existing programs on financial education, and existing financial services for children and youth in the country. Download the Global Money Week 2015 Toolkit to find out everything that you need to know about organizing an activity in your country! The IX Congress of Remittances, Microfinance and Financial Inclusion (COREMIF) aims to promote the exchange of ideas, information and experiences in national and international financial inclusion, financial literacy, microfinance and remittances. This is to promote and raise business strategies and alliances that result in increased economic citizenship in Guatemala and the region. La 3ra edición de la Reunión Regional de CYFY para América Latina y el Caribe (LAC) 2014 reunió a los líderes financieros de las Américas y el caribe en Guatemala, para discutir las tendencias más recientes en inclusión y educación financiera para niños, niñas y jóvenes. Amsterdam, Países Bajos – Este año Guatemala fue sede de la Tercera Reunión Regional CYFI para las Américas y el Caribe. Enmarcado en la realización del IX Congreso Regional de Remesas, Microfinanzas e inclusión financiera (COREMIF), este evento sirvió para llevar la educación financiera y la inclusión financiera a las prioridades de la agenda regional. "Estamos muy contentos de darles la bienvenida a este espacio para el intercambio y el aprendizaje" Dr. Roberto Ortega Herrera, presidente de la Asociación Bancaria de Guatemala. En esta edición el evento dio un espacio especial a la América central. La subregión tuvo una participación sin precedentes en este evento, en el que las intituciones financieras, los Ministerios de Finanzas y Educación, ONGs, fundaciones e investigadores líderes se unieron a las redes CYFI y Aflatoun, con la intención de compartir ideas sobre los temas de inclusión financiera, la educación financiera, así como la empleabilidad y el espíritu emprendedor en niños, niñas y jóvenes. Sin lugar a dudas, este evento contribuyó a la meta de Child and Youth Finance International de desarrollar una generación capaz de prevenir futuras crisis financieras, mediante el aumento de la educación financiera, el acceso financiero, la empleabilidad y el desarrollo de competencias empresariales de los niños y jóvenes. Durante el evento un gran foco fue puesto en la inclusión financiera como una herramienta para disminuir la exclusión social y facilitar el crecimiento de la región. Los oradores reconocieron que el incremento de la inclusión financiera puede tomar diferentes formas en la región y que las oportunidades se han mostrado abundantes. Se hizo hincapié en la estructura familiar y en la necesidad de políticas específicas para mejorar las condiciones sociales, especialmente de los jóvenes. Los panelistas reconocieron que todavía hay un problema por abordar: la Inclusión Financiera en muchos casos ha ocurrido como una consecuencia no deseada del crecimiento del mercado financiero. Destacaron la importancia de fomentar el crecimiento estructurado que se acompañe de políticas específicas para los jóvenes y sus familias. “Las innovaciones han cambiado la manera en que pensamos acerca de las finanzas, ahora tienen que cambiar la forma en la que hacemos finanzas.” Lic. Gabriela Zapata, Consultor de la Fundación MetLife. Las instituciones financieras y las instituciones de gobierno fueron los sectores mayoritariamente representados en este evento. Los participantes se mostraron complacidos de escuchar de ambas partes, un compromiso para una mayor contribución y coordinación entre todos los sectores implicados en el aumento de la educación para ciudadanía económica en sus países. Panelistas destacaron que esto es particularmente importante cuando se habla del uso de canales innovadores para el aumento de la inclusión financiera y educación financiera a la población. Todavía hay un largo camino por recorrer cuando se habla sobre la prestación de servicios financieros a los niños, niñas y jóvenes, y el uso de la tecnología para aumentar la inclusión financiera de este segmento de la población. Sin embargo, el público recibió con gran entusiasmo la idea de SchoolBank y mostró interés en el desarrollo de proyectos piloto en la región. Los participantes destacaron la importancia de adecuar estos proyectos a los contextos nacionales y comunitarios. SchoolBank se centra en la creación de productos financieros de bajo costo, seguros y escalables para niños, niñas y jóvenes de entre 6 y 25 años de edad. El concepto, promovido por Child and Youth Finance Internacional (CYFI), trata de combinar el uso de tecnologías de última generación y canales de distribución innovadores más allá de las redes de distribución convencionales de productos y servicios financieros. El evento sirvió como plataforma de lanzamiento de Global Money Week 2015 en las Américas y el Caribe. Los participantes se emocionaron al escuchar de diferentes instituciones guatemaltecas sobre su participación en ediciones anteriores de esta iniciativa. El Banco Central de Guatemala y la Superintendencia de Bancos de Guatemala invitaron a todas las instituciones presentes a unirse a sus esfuerzos en el año 2015 y a reflexionar en profundidad sobre el tema de GMW 2015: Ahorra hoy. Mañana seguro, y la importancia del ahorro para el crecimiento sostenible de Guatemala. Previo al inicio de la Reunión Regional para las Américas y el Caribe, el Banco Central de Guatemala destacando su compromiso con el Movimiento CYFI, auspició una reuniones de actores nacionales para discutir el desarrollo de la inclusión financiera y programas de educación financiera en el país. Acuerdos incluyen la utilización de las herramientas de mapeo nacional de CYFI para identificar los vacíos en la regulación, los programas de educación financiera existente y los servicios financieros existentes para los niños, niñas y jóvenes en el país. El IX Congreso de Remesas, Microfinanzas y Bancarización (COREMIF) tiene como objetivo promover un intercambio de ideas, información y experiencias nacionales e internacionales en temas de inclusión financiera, educación financiera, microfinanzas y remesas, con el propósito de fomentar y plantear estrategias de negocios y alianzas que redunden en el incremento de la ciudadanía económica en Guatemala y la región. Child and Youth Finance International (CYFI) dirige el mayor Movimiento dedicado a mejorar el potencial financiero de niños, niñas y jóvenes. Lanzado en abril del 2012, el Movimiento se ha extendido a 100 paises y ha llegado a más de 18 millones de niños, niñas y jóvenes. El Movimiento aprovecha la experiencia e innovaciones de su red de organizaciones a nivel global. Entre sus socios y colaboradores se incluyen autoridades reguladoras del sistema financiero y algunas de las instituciones financieras mundiales más importantes., ONGs internacionales, organizaciones multilaterales y bilaterales, fundaciones, académicos de renombre y, sobretodo, niños, niñas y jóvenes. El Movimiento tiene un objetivo central: incrementar la ciudadanía económica de niños, niñas y jóvenes. Esto es, poner a disposición de niños, niñas y jóvenes entre 8 y 18 años el conocimiento necesario para tomar decisiones financieras acertadas, darles oportunidades de acumular ahorros y enseñarles las aptitudes para encontrar trabajo, obtener medios de vidas sosteniblesy por último romper el ciclo de pobreza. CYFI’s 3rd Annual Latin America and Caribbean (LAC) Regional Meeting 2014 will bring together policy makers and financial service providers to discuss innovative ways to responsibly and sustainably include children and youth in the economy. Amsterdam, the Netherlands – CYFI’s 3rd Annual Latin America and Caribbean (LAC) Regional Meeting 2014 will be held in Guatemala City, Guatemala on September 18 – 19, 2014. The meeting is co-organized by CYFI, the Banking Association of Guatemala, and Aflatoun and hosted by the Banking Association of Guatemala during the IX edition of COREMIF. This event will be inaugurated by the President of the Guatemalan Banking Association, Dr. Roberto Ortega Herrera, the Superintendent of Banks, Dr. Ramón Tobar Morales, and the President of the Central Bank of Guatemala, Dr. Edgar Barquín Durán, who will be sharing key insights on financial inclusion and financial education from a regional perspective. Participants from a wide range of sectors such as financial institutions, Ministries of Finance and Education, NGO’s, foundations as well as leading researchers will gather in Guatemala City, Guatemala to network, collaborate and share innovations and opinions on the topics of financial inclusion, financial education as well as employability and entrepreneurship skills. With topics such as “Tech tools to improve financial inclusion”, “Financial education as a foundation to financial inclusion” and “Setting the stage for sustainable livelihoods of children and youth” the meeting will focus on the innovative ways in which financial service providers in the region can increase sustainable economic growth by increasing youth financial inclusion, financial education and livelihood education. New and Improved Toolkit Released for Global Money Week 2015! Global Money Week is a time when children and youth learn the importance of savings, responsible spending and entrepreneurial skills. Taking place between 9th-17th March, 2015, Global Money Week (GMW) is a worldwide celebration which empowers the young generation to be confident, responsible and skilled economic citizens. Last year over 3 million children and youth from 118 countries participated in over 2000 financial education, livelihoods education, and financial inclusion activities held by 490 organizations! Global Money Week takes place every year during the second week of March and creates awareness on the importance of being financially capable and educated from a young age. Coordinated by Child and Youth Finance International (CYFI) the activities themselves are organized by schools, universities, government ministries, central banks, financial institutions, members of the civil society and communities of active youth worldwide. La 3ra edición de la Reunión Regional de CYFY para América Latina y el Caribe (LAC) 2014 reunirá a los líderes financieros de las Américas y el caribe en Guatemala, para discutir las tendencias más recientes en inclusión y educación financiera para niños, niñas y jóvenes. Amsterdam, Países Bajos – La 3ra edición de la Reunión Regional de CYFY para América Latina y el Caribe (LAC) 2014 se llevará a cabo en la Ciudad de Guatemala, Guatemala, del 18 al 19 de septiembre del presente año. El encuentro está organizado conjuntamente por CYFI, la Asociación Bancaria de Guatemala, y Aflatoun y enmarcada en el IX Congreso Regional de Remesas, Microfinanzas e Inclusión Financiera (COREMIF). El evento será inaugurado por el Presidente de la Asociación Bancaria de Guatemala, Lic. Roberto Ortega Herrera, el Superintendente de Bancos, Lic. Ramón Tobar Morales y el Presidente de la Junta Monetaria y del Banco de Guatemala, Lic. Edgar Barquín Durán, quienes estarán compartiendo con el público asistentes sus impresiones en cuanto a la inclusión e inclusión financiera desde una perspectiva regional. Los participantes de una amplia gama de sectores se darán cita en este evento. Intuiciones financieras, Ministerios de Finanzas y Educación, ONGs, fundaciones, así como los principales investigadores de la red CYFI se reunirán en la Ciudad de Guatemala, Guatemala con el fin de colaborar y compartir innovaciones y opiniones sobre los temas de inclusión financiera, educación financiera, empleabilidad y emprendimiento. Con temas como "herramientas tecnológicas para mejorar la inclusión financiera", "La educación financiera como base para la inclusión financiera" y " Creación de medios de vida, empleabilidad e inclusión financiera para jóvenes. ", la reunión se centrará en las innovaciones que los proveedores de servicios financieros en la región han implementado para aumentar el crecimiento económico en la región a través de; incremento de la inclusión y la educación financiera de niños, niñas y jóvenes. Todos los miembros de la red CYFI en las Américas y el Caribe están invitados a asistir a la reunión. ¡La nueva y mejorada Guía de trabajo: Global Money Week 2015! Global Money Week es un momento en el que niños, niñas y los jóvenes aprenden la importancia del ahorro, el gasto responsable y las habilidades empresariales. Global Money Week tendrá lugar del 9 al 17 de marzo de 2015. Global Money week es una celebración mundial que busca incrementar las capacidades financieras a niños, niñas y jóvenes. ¡En 2014 más de 3 millones de niños, niñas y jóvenes de 118 países participaron en más 2000 actividades de educación financiera de la mano de 490 organizaciones! Global Money Week busca crear conciencia sobre la importancia de ser financieramente capaz desde una edad temprana. Coordinado por Child and Youth Finance Internacional (CYFI), las actividades son organizadas por las escuelas, universidades, ministerios, bancos centrales, instituciones financieras, organizaciones de la sociedad civil y las comunidades de la juventud activa en todo el mundo. ¡Descarga el Guía de trabajo: Global Money Week 2015 para enterarte de todo lo que necesitas saber acerca de la organización de una actividad en tu país! Free Mentoring for Youth Start-ups! Free mentoring for young start-ups! Are you a young entrepreneur with a business which you would like to develop or scale up? Are you looking for a free coaching service? Just sign yourself up at www.youth-co.com and you can get linked with an experienced coach! This service is part of the new Youth-Co program from Child and Youth Finance International, supporting young entrepreneurs worldwide. Youth-Co aims to be a global online platform where young entrepreneurs aged 16 to 30 can find information, an online community to meet and connect with other young entrepreneurs, free coaching and a link to potential investors. These features will appear soon, with the objective of reaching over 10 million youth worldwide by 2020! The UN has published an update on the Proposed Goals and Targets on Sustainable Development for the Post 2015 Development Agenda. At the recent CYFI/UNCDF High Level Stakeholder Meeting, youth delegates called for youth financial and social inclusion to be included as part of the Post-2015 Development Agenda. Therefore CYFI and its partners have continued to advocate for amendments which ensure that the voices of youth have been heard. Partners Child and Youth Finance International (CYFI) and the World Savings and Retail Banking Institute (WSBI) invite you to join us for an exciting webinar with presentations of pioneering savings banks building financial capabilities of children and youth. Banco Caja Social (Colombia) and MicroBank (Spain) will present the ways in which they are supporting financial inclusion of young people while building their financial capabilities. BCS, partner of the YouthSave consortium, offers savings accounts to children in combination with elements of financial education. MicroBank partners with a large number of local social sector and municipal institutions to build young people’s financial and entrepreneurship capabilities before providing them with loans or financing for their ventures. Both cases provide interesting models on how financial institutions can shape their interaction with, and responsibility towards a new generation of customers, and how a multi-stakeholder approach can provide added value to all parties involved. Join us on June 25 at 3pm CET to hear their experiences first-hand and to get practical advice for your own organization, partner-program, or community. Amsterdam, the Netherlands – A Chance for Change: Child and Youth Finance and the Post-2015 Agenda was organized by Child and Youth Finance International (CYFI) with the support of United Nations Capital Development Fund (UNCDF) on May 23, 2014, at the United Nations Headquarters in New York. The meeting featured children, youth and high-level stakeholders, and was attended by 341 participants from 90 countries, including ambassadors and representatives of 43 permanent missions to the UN. The main objective of the meeting was to ensure that the financial and social inclusion of children and youth are included in the Post-2015 agenda, as inclusion is crucial for fighting inequalities and promoting sustainable growth. This meeting allowed youth to bring their concerns, desires and dreams for the future directly to policymakers. All recommendations for the Post-2015 agenda were structured along the following themes: basic access to financial services, employability, Economic Citizenship Education and youth livelihoods (employment and entrepreneurship). 90 children and youth, from across the world, spoke to the high-level stakeholders on behalf of 4,000 youth who participated in the global youth survey; 6,500 people involved in the DreamsBank campaign on Facebook; and 3 million conversations on Twitter. They presented their ideas to the high-level stakeholders on what they think should be included in the Post-2015 Agenda, stressing the importance of increased Economic Citizenship Education, Financial Inclusion and Youth Livelihoods in helping them develop into active and responsible economic citizens capable of making informed decisions. Every person in the world should be financially included especially youth from 18-24. Emerging strongly from this meeting was the request by children and youth for a separate, youth-led “Youth UN” – a UN body dedicated to addressing youth issues, particularly their social and financial well-being. This body could replicate the UN structure, with its own Youth Council (or General Assembly) and Secretariat. It would consist of regional representatives and coordinate with existing UN efforts. In response to this request, Mr. Ravi Karkara, the Global Expert Advisor on Children and Youth, UN-Habitat, agreed that "we need to create permanency in the youth agenda and be a part of this partnership for a larger reengineering of the youth agenda." “We will advocate for each one of the points you have raised today into the post-2015 agenda – they are much more than requests, they are rights and I support them fully,” said Ms. Amina Mohammed, the Secretary General’s Special Advisor on Post-2015 Development Planning. Ms. Mohammed went on to express the UN’s support for advancing the youth agenda, especially in the areas of financial inclusion, financial education and employment. Mr. Ahmad Alhendawi, the United Nations Secretary General’s Envoy on Youth, committed to bring forward the points raised by the youth in this meeting to the post-2015 discussion. He highlighted that for the 75 million young people who are unemployed; projections show that 600 million jobs will be needed; therefore he finds it imperative that we build an environment that encourages, aids and supports the youth in creating their own jobs. John Ashe, President of the UN General Assembly, expressed his support of the meeting’s agenda through his Special Advisor, Mr Nicolas Pron who said "It is time for change. It is time for children and youth to be spared the burdens of poverty, and it is time for youth to experience social and financial inclusion, which would allow them to thrive through decent employment or creative entrepreneurship." The World Bank’s support of the youth’s requests and the Child and Youth Finance Movement was emphasized by Mr. Mahmoud Mohieldin, President’s Special Envoy, World Bank. UNCDF’s Policy Advisor, Ms. Beth Porter, confirmed UNCDF’s commitment to taking forward the issues raised by the youth to other UN agencies. She reminded the audience that this is the chance for change and it must be taken, collaboratively, to advance the agenda to ensure that all youth are financial included and financially capable. The meeting concluded with statements from UN permanent representatives to take the requests of the children and youth forward during their country-level deliberations. Ms. Simona-Mirela Miculescu, the Ambassador of the Romanian Permanent Mission to the United Nations, expressed her appreciation for the power and creativity of youth, emphasizing the potential and responsibility of the world’s youth to catalyze change. Ms. Miculescu described how sustainable economic growth was linked to financial inclusion and financial education for youth. New York, New York - Tonight Child & Youth Finance International (CYFI) hosted the 2014 CYFI Awards at the Millennium UN Plaza Hotel. This annual awards ceremony CYFI recognizes and honors individuals, organizations, and government agencies that demonstrate innovation and commitment to promoting financial inclusion and financial, social and livelihoods education for children and youth at the national, regional and international level. Thomson Reuters' Personal Finance Editor Lauren Young anchored the evening where special addresses were made from Annemiek Hoogenboom, Founder and Director UK's People Post Code Lottery, and, Silvia Singer Director of the Interactive Museum of Economy, Mexico. In a seminar called “InnovAction Lab”(www.innovactionlab.org) , three Italian girls - Monica, Giulia and Valentina met each. They worked together on the start-up project of the course. Inspired by their own experience and ambition to make something big, they decided to turn their idea into a real business. 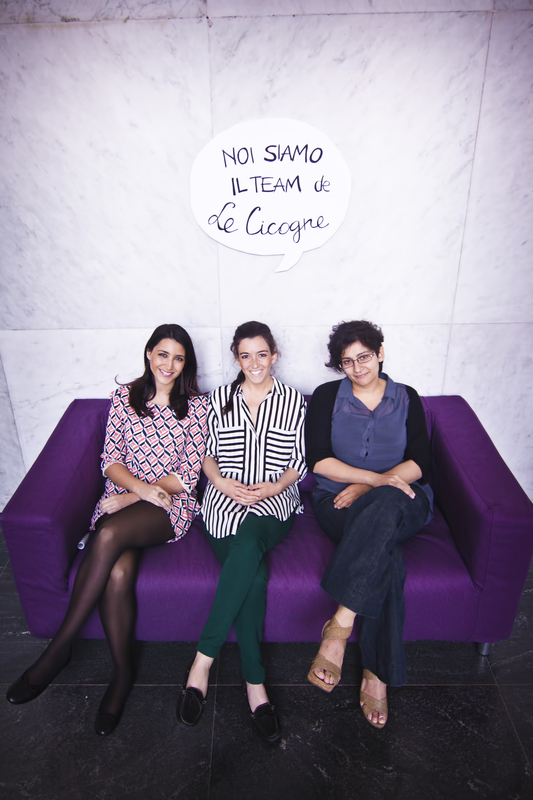 With the help of “Luiss Enlabs” start-ups incubator (www.luissenlabs.com), they launched Le Cicogne, a company and web portal that matches demands and supplies of babysitting service in Italy. What drove you (and your co-founders) to start Le Cicogne? Le Cicogne is a web portal that matches demand and supply of services such as babysitting, baby&teen shuttle services, baby&teen tutoring and baby party. I was the first user of my own service. At that time, I was a student looking for flexible babysitting jobs. It was very difficult to find jobs that can fit my schedule. The only way seems to be receiving as many job offers as I can so I have the chance to choose the most suitable one. Obviously this wasn't possible – there won’t be so many parents contacting me if they didn’t hear from another parent that I am available to work. I discovered that the easiest way to look for a babysitter is by word of mouth. Thanks to a family I was working for I created a new service: the “baby-taxi”, a shuttle service that picks up children from, for example, their sport lesson, and brings them home. It is more than just a “taxi service”, it is a “sitting service” with the car. My responsibilities include making sure the child sits properly, helping them dress after their lesson and having fun with them in the meantime. The job is flexible and only took me three hours per week. So I decided to look for other parents to offer the same service. The parents I already knew introduced me to other families. I started to receive so many calls that I could no longer afford all the work. So I started to share it with my friends. Later we launched a web portal to introduce our business Le Cicogne and facilitate the demands and supplies of the services. There is more than one reason why my co-founders and I started Le Cicogne. To put them all together, I would say it is the need of a flexible job, of money, of letting people know about my service, and the desire to prove ourselves. What was the biggest challenge you experienced in the journey of Le Cicogne and how did you overcome it? I think there is no thing as big as the present and the future that we are living in right now with Le Cicogne. What I mean is that if I look back, I see things way more easier than they are right now, which I think is good. Because it means that we are going in the right way. We are becoming a real company with real difficulties and obstacles. Some big challenges I have: one, Italian bureaucracy, setting up a company in Italy always means a lot of time, money and legal difficulties. Second, how to transform a start-up into a solid company. Is there anything that you would have done otherwise? No. If I could go back in time right now, I would do everything in a different way, but with the knowledge I have now, otherwise I would probably have made the same choices and mistakes. What is your vision for Le Cicogne in the next three years? We hope to receive an offer from FB as the one they did to Whatsapp!! No, just joking, I see it becoming stronger, a solid company that gets bigger day by day. For sure I see Le Cicogne on the whole Italian territory. What advice do you have for young tech entrepreneurs? I will tell them: START. Don't look back on what has already past. Look forward. I did it and it is amazing! You won't repeat the same mistake twice; you will realize what you love and how you want it. Monica is 25 years old and she is from Rome. Giulia is 24. She studied Management. Valentina is 27 and she has a degree in IT. 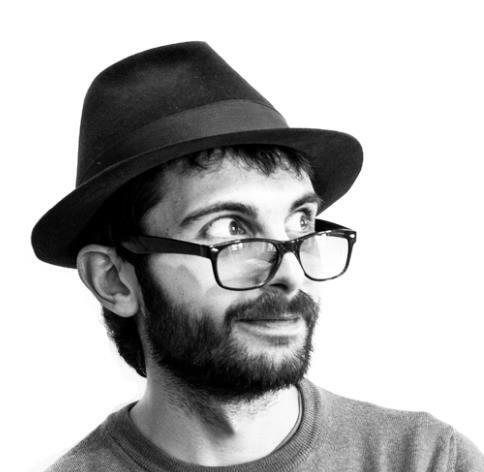 This week we would like to present you our interview with Matteo di Pascale, a young Italian writer, designer and artist. He is the creator of Intùiti Creative Cards. Introduced as “a deck of cards for Creativity” and “serious game”, Intùiti aims to provide people with an effective tool for brainstorming and to spur creative thinking. What drove you to create Intùiti? Passion. 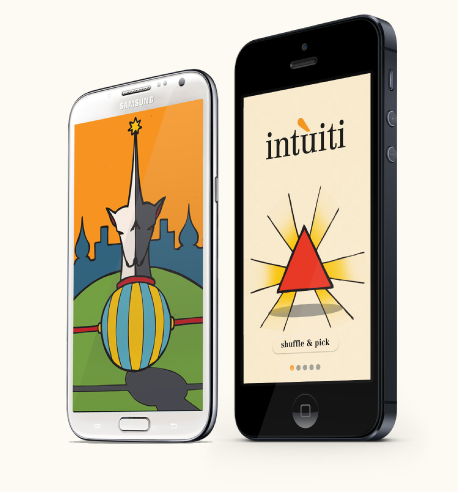 I designed Intùiti because I thought there was a gap in the way creativity is dealt. At the university they teach it as mechanical methods – brainstorming, mid maps, etc. – which are widely used in agencies. And I've always believed that creativity is something more than a simple equation. That's why I put my efforts in an unconventional tool such as Intùiti. Then, after having realized that it was a very difficult product to place, I tried to raise the funds for a first production through the platform Kickstarter.com. The result was very satisfying: I got the resources to produce the paper version of Intùiti and to develop the Intùiti app for both iOS and Android. What was the biggest challenge you experienced in the journey of Intùiti? How did you overcome it? The biggest challenge is always not to give up. This journey started almost 3 years ago and it's easy to think: «Ok, this is not working. Let's just move on». I've been on the edge of resignation several times, and it's all a matter of finding the energy to keep going. You just have to believe in what you are doing and continue working: a good idea is not enough; you have to sweat really hard. Is there anything that you would have done otherwise with Intùiti? You learn from your mistakes, so they are pretty useful. I only have some regrets for what regards the level of stress: sometimes I think I could have handled myself better. What is your vision for Intùiti in the next three years? Intùit should be produced by a publisher, possibly for both the Italian and the international market, and communicated in two different ways: for tarot lovers, as a new vision of the classical cards, and for creatives, as a peculiar tool for inspiration. Be sincere with yourself. If you don't like your product, change it or drop it. Imagine to be working on that for the next 5 years: if you love it, it would be an amazing adventure (also if it's not successful); otherwise you are just wasting your energy. PURCHASE / AMSTERDAM – March 12, 2014 –MasterCard (NYSE: MA) and Child & Youth Finance International (CYFI) today announced the publication of “Banking a New Generation: Developing Responsible Retail Banking Products for Children and Youth.” The publication is timed to coincide with Global Money Week and will help financial institutions, NGOs and governments co-create appropriate and innovative banking and payment products for children and youth. Of the 2.2 billion children in the world, on average only 37.9% of young people aged 15 – 25 have a traditional banking account such as checking, savings or card. MasterCard and CYFI share the belief that enabling financial inclusion and economic citizenship education for children and youth is critical for a more inclusive economy around the globe. Without this access, young people can’t save or invest in their future. Considerations regarding the product development process. Global Money Week, celebrated in over 90 countries around the world, is the leading global celebration engaging young people in conversations about their (financial) future. It also serves as a rallying call for financial institutions to become more child and youth friendly and ensure that young people have access to the proper education and products they need to become empowered economic citizens. More on Global Money Week on www.globalmoneyweek.org. CYFI is a non-profit organization established in July 2011 and based in Amsterdam. The organization focuses on increasing financial inclusion and economic citizenship education for children and youth, so that every child can graduate from primary school with financial education and a savings account they own and operate. The target for CYFI’s global movement, launched in April 2012, is to reach 100 million children in 100countries by 2015. CYFI has reached over 18 million children and youth around the world and has begun collaborations with stakeholders in over 100 countries. CYFI has built global knowledge and shares resources on best practices and industry research. More information about the organization is available at www.childfinanceinternational.org. MasterCard (NYSE: MA), http://www.mastercard.com,is a technology company in the global payments industry. We operate the world’s fastest payments processing network, connecting consumers, financial institutions, merchants, governments and businesses in more than 210 countries and territories. MasterCard’s products and solutions make everyday commerce activities – such as shopping, traveling, running a business and managing finances – easier, more secure and more efficient for everyone. Follow us on Twitter @MasterCardNews, join the discussion on the Cashless Pioneers Blog and subscribe for the latest news on the Engagement Bureau. As the spirit of Global Money Week continues and our partners in the financial sector are showing more interest in developing products for children and youth, we thought this was the perfect opportunity to organize a webinar and raise the question of whether there is a business case for youth services. Join us on Thursday, March 20 at 2:00 - 3:00 PM CET, as Child and Youth Finance International (CYFI) will be co-hosting with the United Nations Capital Development Fund (UNCDF) and the Union des Coopecs Umutanguha (UCU), a free webinar to discuss the business case for Financial Services Providers (FSPs) offering financial products or services for children and youth. Together with Ms. María Perdomo, Youth Start Programme Manager for UNCDF, and Mr. Jules Théoneste Ndahayo from UCU, we will be reviewing UNCDF’s latest publication: “Building the business case for youth services: Insights of the YouthStart Programm”. This paper aims to take the first steps in demonstrating that youth are a viable market and focuses on the business case for serving youth if FSPs follow three pathways to profitability of youth services: i)Optimizing expenses; ii) Increasing savings volume; and iii) Increasing return from youth. Join us on Monday, March 17 at 2:00 - 3:00 PM CET, as Child and Youth Finance International (CYFI) will be co-hosting with MasterCard a webinar that presents a brand new Guide for leading national and international financial institutions with an ability to drive significant outreach (1 million+). The Guide is relevant for those organizations who are evaluating an existing investment in financial products for children and youth, and for those debating whether to enter the segment for the first time. The Guide is intended to help decision makers, products owners and all stakeholders in the product development process understand the impact of working with children and youth, and provide guidelines on how to develop appropriate innovative banking and payment products, while respecting and supporting children’s rights. In a presentation and conversation, the webinar will discuss the guiding principles for responsible financial products for children and youth; why to invest in these segments; some key relevant features of these segments; what makes a good child and youth friendly product proposition, and considerations regarding the product development process. CYFI and MasterCard will present highlights from the Guide and examples of banking and payments products from across the globe. CYFI and MasterCard invite anyone who is interested to join the free webinar! MasterCard and Child & Youth Finance International announced a global strategic partnership in January 2014 aimed at improving the financial inclusion of children and youth. This Guide is a first outcome of this partnership. This webinar is part of Global Money Week (GMW), the annual global awareness week (10-17 March 2014) organized by CYFI and its partners and stakeholders. GMW creates awareness with children, youth, parents, and teachers around economic citizenship education and financial inclusion for children and youth. Join us on Thursday, March 13 at 2:00 - 3:00 PM CET, as Child & Youth Finance International will be co-hosting a webinar with the World Savings Banks Institute (WSBI), on how retail and savings banks are working to ensure the financial inclusion of youth around the globe. Taking from the example of WSBI member Microbank (Spain) which through La Caixa offers a complete package of financial services to youth, global trends, challenges, and opportunities will be explored around financially including youth. WSBI, the global association of savings and retail banks, supports their members’ activities on financial inclusion including youth and has seen increasing efforts over the past years by its members. WSBI is monitoring evolutions worldwide and channels experience in order to help boost these common objectives. Join us for an engaging discussion with WSBI and Microbank. Webinar: How Can Microfinance Be More Inclusive To Children and Youth? Join us on Wednesday, March 12 at 2:00 - 3:00 PM CET, as Child & Youth Finance International will be co-hosting a webinar with the Microcredit Summit Campaign, this webinar explores how microfinance can be more inclusive to children and youth. A small but increasing number of MFIs offer financial and non-financial services to children and youth. They are building the next generation’s capability to save, build assets, and, if needed, take (micro)loans to support their enterprises. The webinar features Mr. Walid Ahmed from BRAC Tanzania, who will present on BRAC Tanzania’s “Empowerment and Livelihoods for Adolescents Program” which works to socially and financially empower youth (age 11-19), mostly girls, through a combination of life skills education, livelihoods training, financial literacy, credit support, club activities, and community participation. The program aims to build girls’ confidence, instill a sense of self-worth, encourage positive behavior changes, and improve their quality of life. Mr. Ahmed will discuss the main program features and some key successes, lessons learned and challenges and opportunities ahead. Taking from the example of BRAC, some key challenges around child and youth inclusiveness of microfinance will be discussed with Mr. Larry Reed, Director of the Microcredit Summit Campaign. As the Campaign focuses on ending extreme poverty, what is the role of financially including children and youth? MFIs addressing youth unemployment and poverty, and children’s financial illiteracy also struggle with financial sustainability, the balance between financial and non-financial services, and capacity development of their staff. Notwithstanding these challenges, the examples of BRAC and others show there are powerful ways for MFIs to create sustainable change. Mr. Reed will also talk about the shared commitments that the Campaign and CYFI have to make microfinance more child and youth inclusive. The Microcredit Summit Campaign and CYFI are partners with a commitment to lifting 100 million households out of extreme poverty and providing 100 million children and youth in 100 countries with a savings accounts and financial education. Topic: How Can Microfinance Be More Inclusive To Children and Youth?